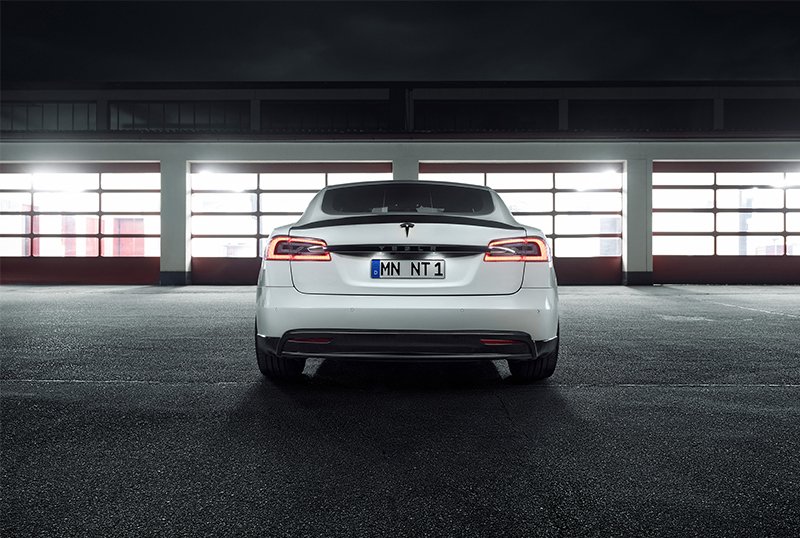 Just in case you thought the Model S was a boring old electric sedan, the Germans have decided to change things up. Aside from companies such as Liberty Walk, not many aftermarket body options are available to be purchased as a box-option for cars after they leave the dealer. However, one German company that specializes in ultra-luxury vehicles—Ferrari, Lamborghini, Maserati, and McLaren—has moved its efforts into a more electrified platform; Tesla. 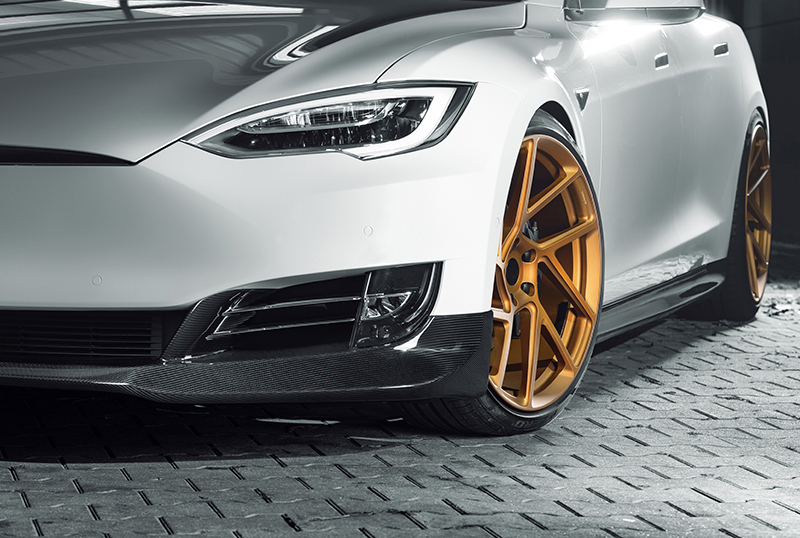 Novitec has developed a perfectly refined aftermarket setup for the Tesla Model S that is somehow aggressive, yet subtle. 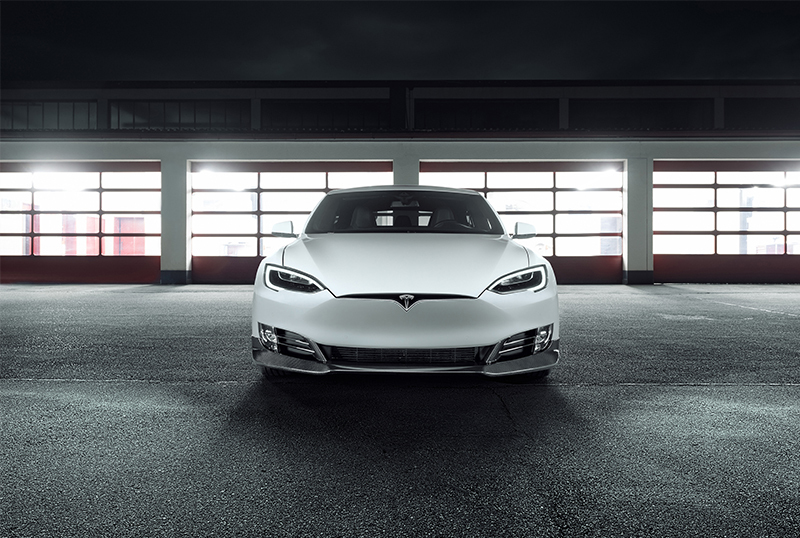 It's easy to call an electric car quick, especially the Model S which can sprint to 60 mph in 2.3 seconds, but outside of the sportier Acura NSX and refined Porsche Mission E I find it strikingly difficult to call an electric car aggressive. 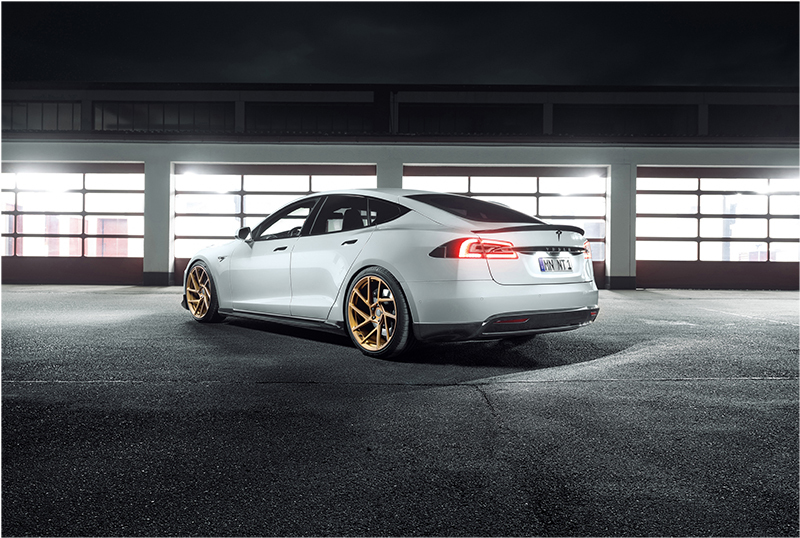 Somehow, Novitec has pulled that off by adding small features to the Model S which give it an "OEM plus" look to accentuate its performance. First, the Model S is beautified on the outside. Novitec adds a full carbon fiber aero kit, consisting of front and rear valances, rocker panels, and a rear lip spoiler raised just above the factory option. 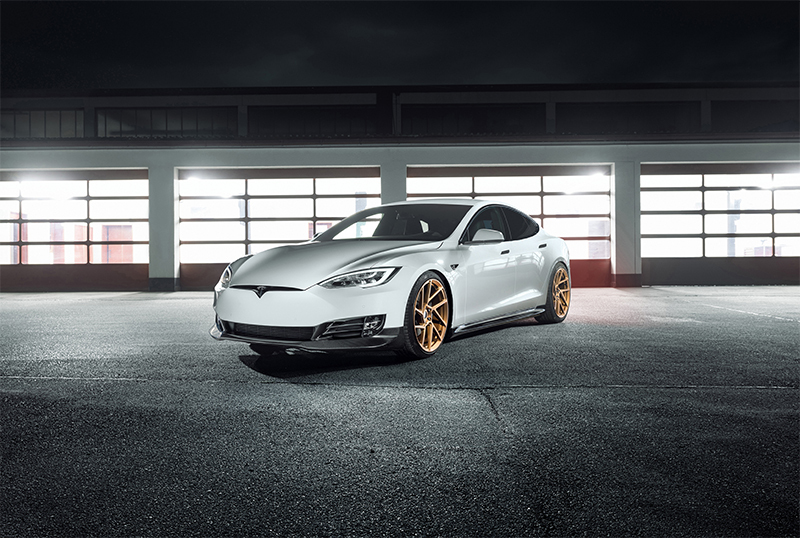 Next, the electric sedan is fitted with custom 21-inch Vossen NV2 forged wheels, exclusively designed in a collaboration between the two companies. Behind the wheels sit new carbon ceramic brakes, featuring large vented discs and upgraded six-piston calipers. The suspension was another characteristic taken into account by the tuner. Models riding on a traditional suspension will receive an upgraded coil over kit, allowing for the vehicle to be lowered or raised (manually) by a range of 40 millimeters. The coil overs also have electronic dampening, allowing for on-the-fly changes to the car's handling with the press of a button. For owners who already have air suspension on their Model S, the company has released a controller that lowers the vehicle an additional inch over its lowest stock setting. Of course, nothing would be complete without a little beautification to the interior of the car. Novitec will also re-wrap panels and seats in a variety of high-end leather materials, as well as Alcantara, to completely change the feel of the cockpit. Slightly more subtle changes than what the company has pushed to accomplish on the outside, but a change for the driver nonetheless. The company has been no stranger to Tesla, and the Model S has undoubtedly on its radar after being named the most-loved car in America. 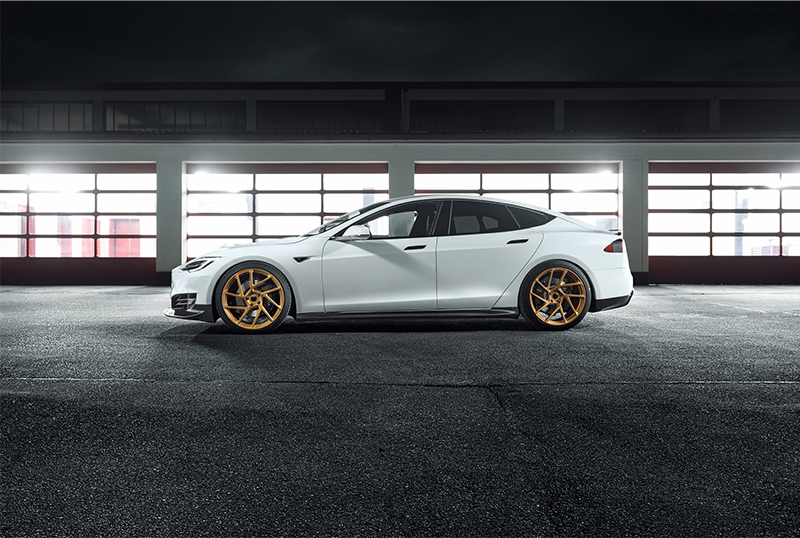 Just this summer, the company also released a visual package for the Model X that carried the same tone of elements, right down to the paint color, carbon tidbits, and even the same style Vossen wheels. Even though not many manufacturers have focused on building aftermarket parts for electric cars, Novitec has decided that just because a car is electric, doesn't mean it has to conform to the "boring standard" that society holds for them. The first truly modified production electric car is up for grabs. Toyota's Project Portal and a possibly game-changing semi from upstart Nikola Motors might prove FCEVs are the winning tech for the long-haul industry. A promising start, or a fish out of water?